In this article I have collected some of the best WordPress news themes to help you get started building a cool news website! One of the most disruptive trends right now is the move from reading printed to checking short news updates online. It is common that users get their daily news doze using a mobile device so to keep up in the online news niche websites should be responsive! A great looking and mobile ready WordPress news website template can be an excellent solution for building a news website. The structure and layout of a news website themes have great influence on the ability to attract more readers. Even if the content is value adding and fresh relevant news, it must be easy to digest and navigate. As I have covered in several articles lately, WordPress is really rocking the web design and development boat right now. It is to some extent a disruptive technology not only dominating the blogging space, but also taking ground in nearly any other niche, changing how most web sites are built. WordPress is very popular for many non-blogging websites, and since news posting is highly similar to the blogging roots of WordPress it makes perfectly sense to use WordPress as foundation for a news website. Depending on your needs of course I would recommend you look for themes with flexible front page templates or even a page builder. In addition, I would like to have a meaty set of shortcodes and widgets to set up the news presentation effectively. Examples of this could be multiple options for setting up news listings and sliders. WordPress is also picking up popularity for building websites that offer news updates and for a reason. Setting up a news site using WordPress is a fast and cheap process and using a great WordPress news theme is the first important step to make your site look just as cool and professional as the big sites. 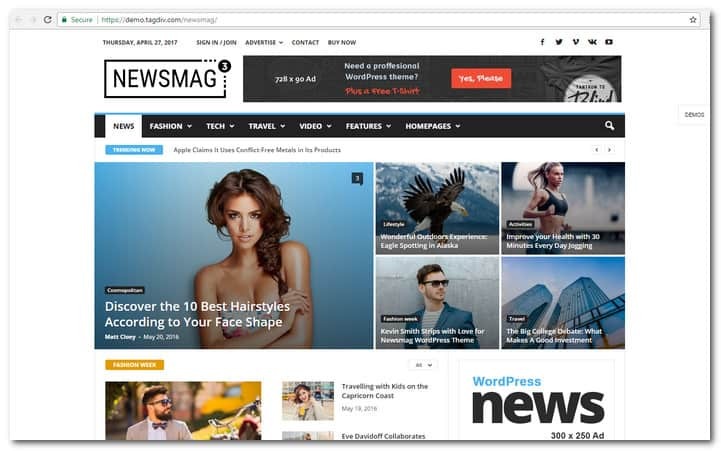 In this article, we are going to do a quick but extensive rundown of the best WordPress news style themes for building professional news websites. 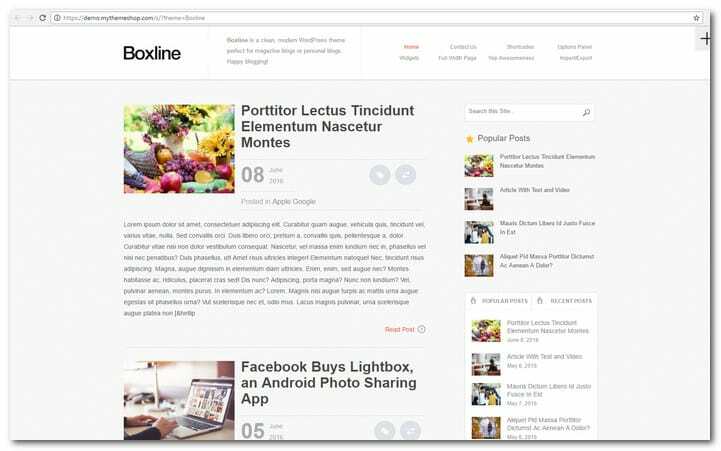 Just a word of note, these news website templates are not only good for online news and magazine sites, but for any other website with a lot to say. That is, any website with lots of content, which are rapidly updated and categorized. Let us look at the extensive WordPress news theme roundup I have prepared for you below. As I briefly mentioned in the intro it is a good idea to prepare your site for the mobile future. The themes in this section are all responsive and mobile ready. This is a WordPress theme that will allow you to compose articles and blog posts easily. The theme developers provide friendly help and great support for Newspaper. The template is a great option for newspaper, news, publishing, review and magazine websites. It comes with YouTube video support completed with a rating system. 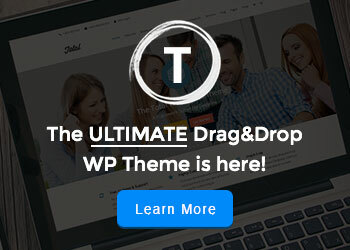 The current version of this theme provides bbPress forum, BuddyPress and WooCommerce. It utilizes the best SEO practices to make it simple but fast and easy to use. Newspaper also supports AdSense and responsive ads from Google. Newspaper has a sticky navigation menu that can be enabled and disabled or enabled on big screens only. Every category has 8 category template styles, 12 category top posts styles with 7 unique grid styles for every category, 19 custom module style, custom colors, custom background image and custom sidebar plus position. 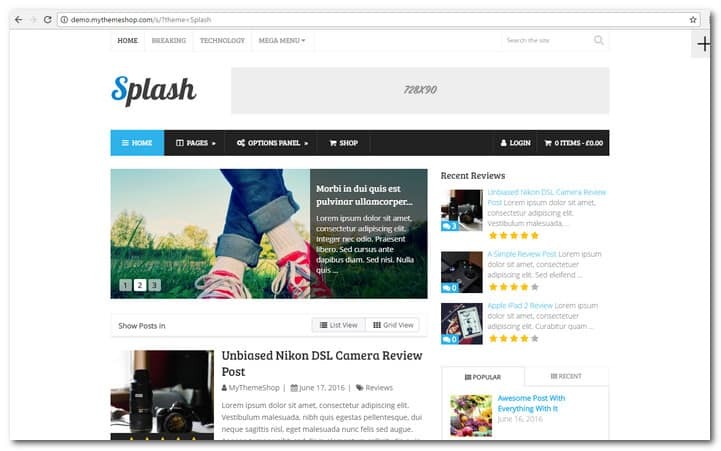 Splash is a clean and simple, yet powerful news template for WordPress with article rating system build in to encaurage visitors to participate and share their opinions. You will find Splash t obe useful for news and product reviews but it also inclides the needed features to work well as a blog. It is fully responsive and will adapt well to mobile devices. 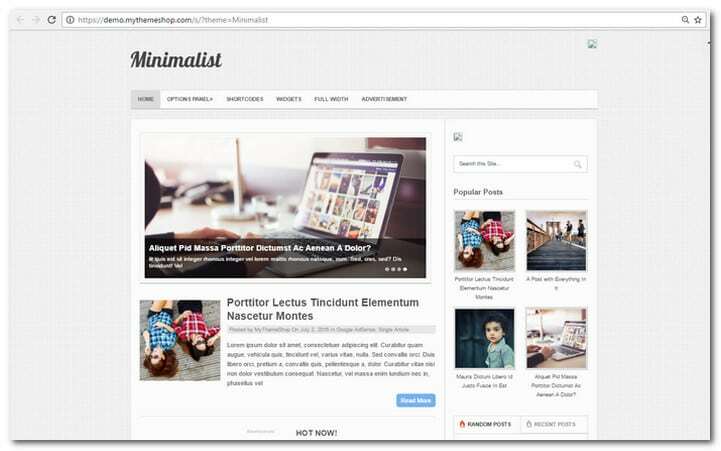 This is a modern theme for WordPress that will allow you to create blog posts and articles easily. It is best for news, magazine, newspaper, review and publishing websites. A considerable amont of time has been spent in making sure the theme will perform at its best speed. All queries are inspected manually while resources and images are compressed carefully to make Newsmag load extremely fast. The scripts in turn are modified and profiled to operate at best speed. The theme includes full documentation. 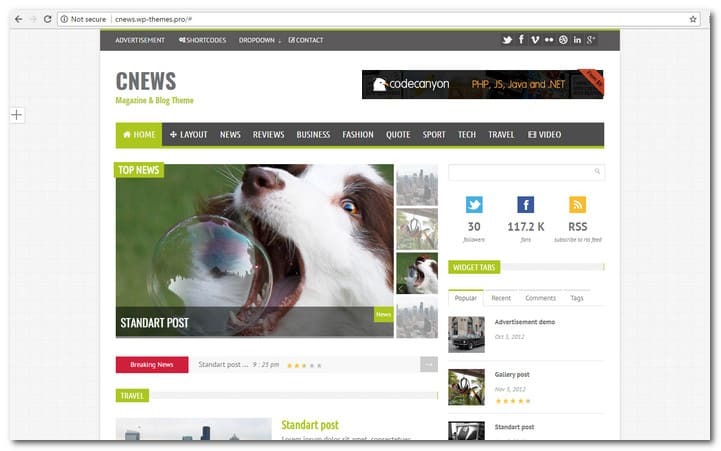 Newsmag features homepage, search, blog index, author, category, tag and 404 template. It also includes live search with up down keys and Ajax, one click demo install, Visual Composer, custom auto scaling content blocks, responsive Google Adsense, responsive ads support and more. Galmour is a minimalistic WordPress news website template with great design for a news site or very active blog. The included options for adding articles to category listings makes it ideal for featuing various news topics and keep readers up to date on everything. Check out the Volcano news theme for WordPress it is one of my favorites. Volcano is minimalistic, fully responsive and it comes with some pretty cool widgets for featuring news. To mention some details I can say that Volcano comes with 17 custom widgets, 18+ widgetized areas, 5 post formats. This is more than enough for build a great news website! Metro Magazine is a clean and modern news theme for WordPress designed with a flat and metro like look and feel. It is responsive and will do a great job as a news website template even for mobile users. The layout is 3 column with two sidebars to the right and it is a cool way to have a lot of content presented on a news site front page. Metro Magazine also have a great solution for featuring news at the top of the site. 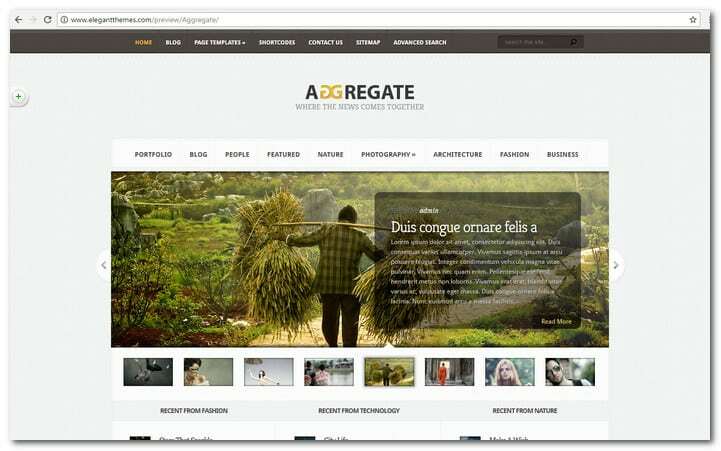 Aggregates comes packed with tons of content and widget-ready areas, and manages to display everything in a clear and readable manner. We have also added some handy new widgets, as well as many new advertisement areas. If you have been searching for a feature-rich Magazine-style theme for your blog, then look no further! Further the ElegantThemes club is one of the most affortable and it is packed with good themes you can use on as many sites as you like. 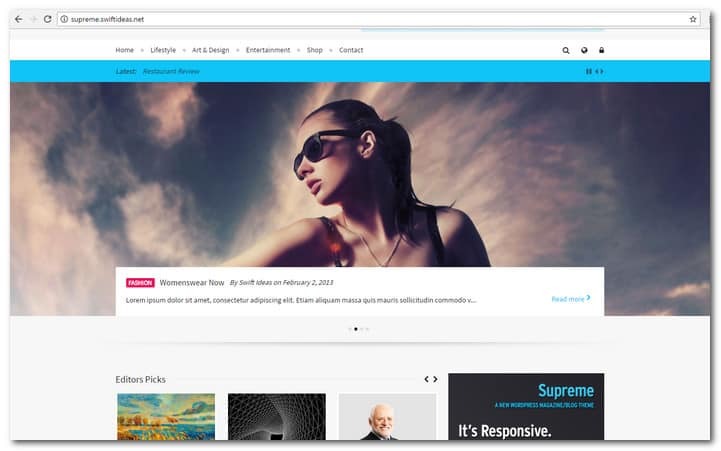 Supreme is a unique and very interesting retina ready responsive WordPress news and magazine style theme. It offers clean and crystal clear graphics optimized for retina display. Supreme includes the incredible Swift Page Builder, you can now create and manage content the way you want, with ease. 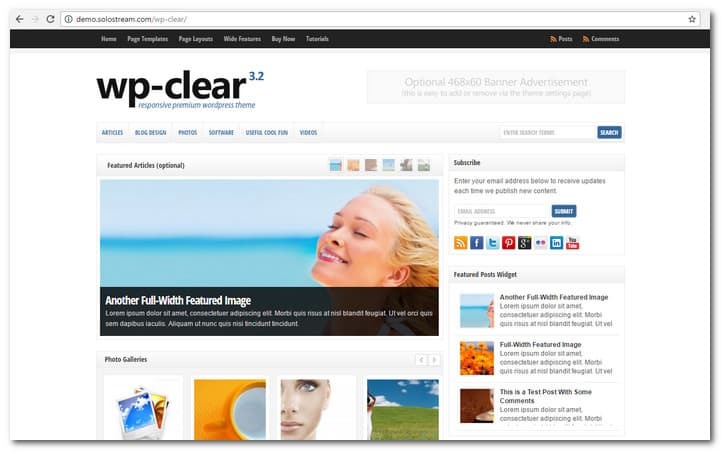 Solostream recently released version 2.0 of their popular simple WordPress theme, WP-Clear. 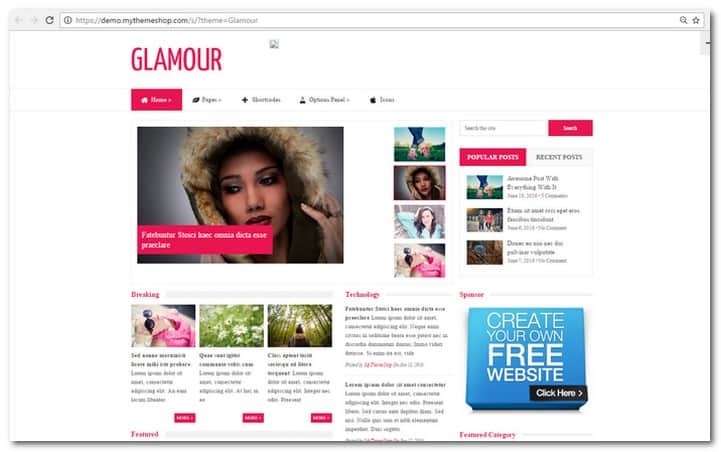 This updated version includes numerous new features and layout options with magazine, business and blog layout styles. Other features include 2 content sliders, multiple post and page layout options, integrated banner ad spots, options panel for easy customization and more. 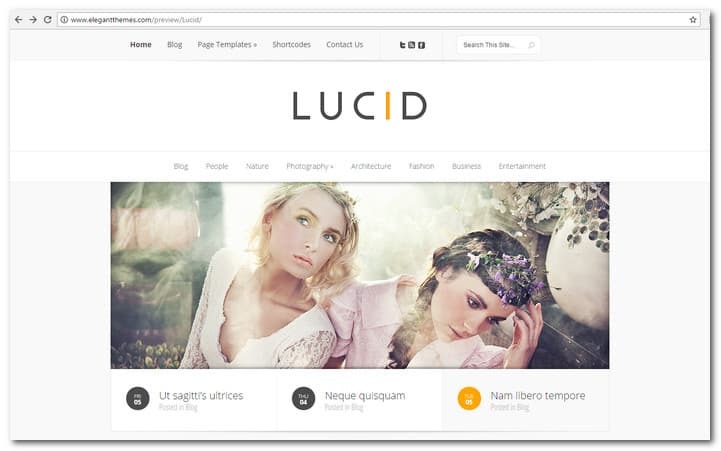 This simple WordPress theme is a “must see”. 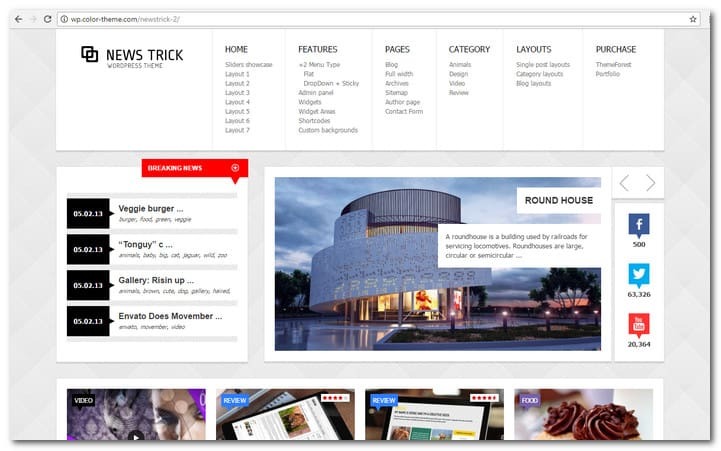 CNEWS is a feature-rich WordPress magazine theme. 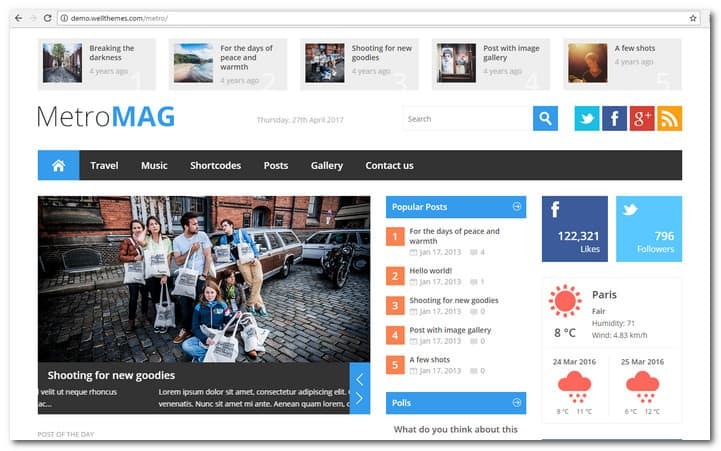 Great for magazine , review, news and blog sites, with integrated reviews, video, slideshows, galleries and ADS system in each post. NewsTrick can be configured to focus on your work, your blogging, or both. Theme is powered by the SMOF Options Panel, which provides tons of options to manage and modify any aspect of the theme – it is well suited for both beginners with no coding knowledge and developers. 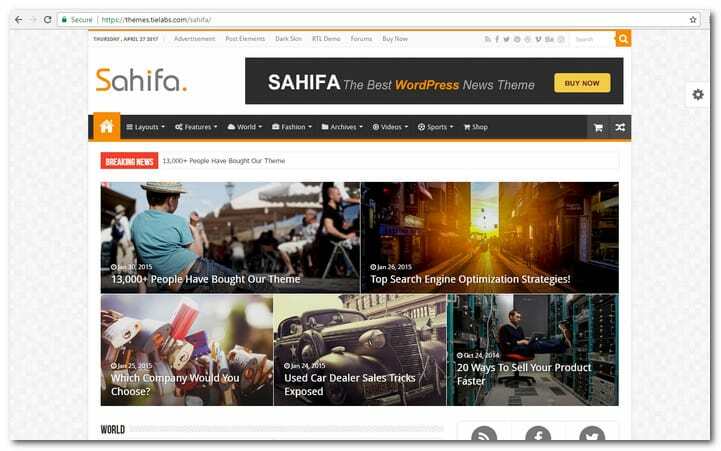 Sahifa is a clean Responsive Magazine, News and Blog Template with a really cool set of options pages. Let us take a look at some tips and considerations you may want to go through before choosing a theme for your website. Get a fresh baked and still hot theme: You should be looking for availability of recent updates, professional support, other user’s ratings and comments of the theme you like. While we try our best to keep this article up to date there is always a risk that themes are suddenly not supported any more. Be clear on you news website requirements: Consider creating a list website features your news website will need. If you have a good idea of the target design and functionality you will be in a much better position once you start looking through the large list of news website templates. Commonly required news site features: News websites have specific characteristic and functions. If you like to have optimal flexibility in the front page I recommend you look for a theme with a page composer. Also shortcodes or widgets used to display news in as many ways a possible is important to look out for. The more flexible display you have the more variation you can create. This is good for making your site dynamic and still make news available in a cool way. 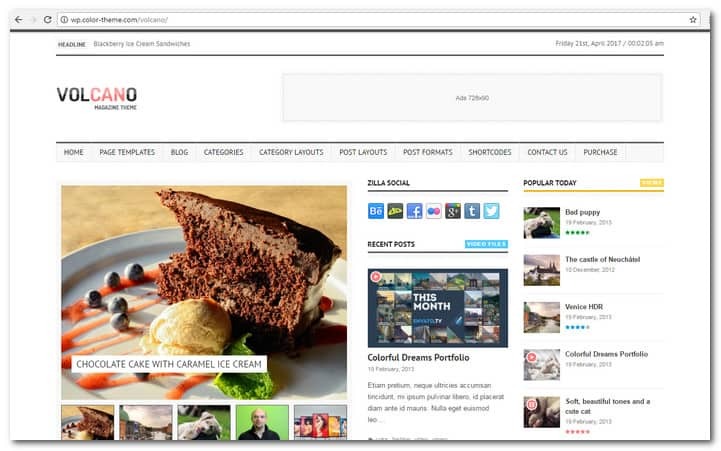 An example of this could be a post widget with grid layout, a widget with news presented as a content slider form a specific category or tag. Another cool feature for news websites is a news ticker to be placed e.g. in the header to show one liners of breaking news. You can find this kind of functionality in plugins, however, it is much more convenient to have it included in the theme you find. Otherwise, you may need to hire a designer to make it fit into the design. Social integration: Social sharing is critical for news websites and it is great of the capability is available in the theme you choose. There are many cool plugins for adding social sharing buttons as well, but again if you want the buttons integrated into the content e.g. in the front page it is a bit harder with plugins. Mobile readiness: You also need to look for responsive features and test how well the mobile layouts are implemented. Use responsive design tools to test the various screen sizes. You want the news to be easy to digest even on the smallest screens. Navigation is also critical to get right. You may want to look for themes with multiple menus, as it is great for news websites to have one navigation bar for news categories and another one for about, contact, etc. 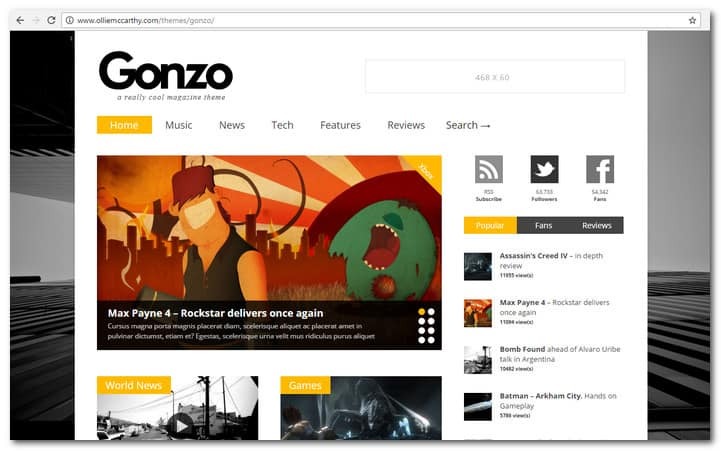 Some themes have mega menus and they can be quite cool for news websites. Keep in mind though that the navigation must adapt well to mobile screens on mobile devices if you go for a mobile ready theme. If we missed a few great WordPress news themes you think should be added to this post, or if you have any comments or suggestions, as to how to improve this list, please feel free to write them below. We will have that covered in a future post or an update. Awsome list thanks, you can offer free blog themes? Great Collection of Magazine themes. Personally, I like the Newspaper theme by ThemeForest, this theme is well coded and looks great on all devices. I love your responsive theme selection – I would not recommend any theme other than a responsive theme since we all are reading on laptops, tablets, and smartphones. I like your Daphne theme for a News website. I will bookmark this page! Great Collection of Magazine thmes….. I just tried with wp clear…..
Nice news theme, a little long list though. 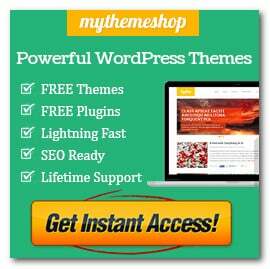 Hi, This post is awesome & I am just looking for same information, I am also looking for some websites which provides free word press themes….Its great if anyone can provide me good website. 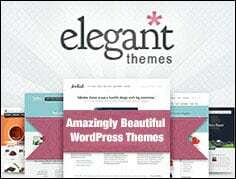 Thank you for putting together this really useful collection of WordPress themes. Really great selection!!!!!! Best i was able to find!!!! Do you have any referal number, if i decide to buy any? 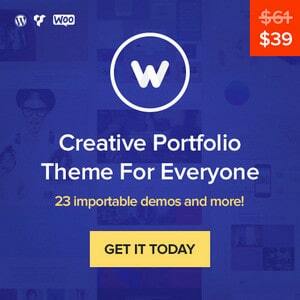 massive collection of wordpress themes, just got inspiration from this list. Please explain how to download these themes. It is easy actually – you just have to click the “MORE INFO” link and go to the source page. Some of the themes are premium and you will have to pay the price before downloading. I really want to vote for WP Clear theme, it is really best for content sites. Modernizm is looking serious eye candy! love it. thanks so much and appreciate your efforts! Thanks for this post! I created a personal web site to feature all of my blogs in one location. It’s been tough finding the perfect WordPress theme, but there are so many here on your list that I really like. Thanks again! I am still looking for one. Could not get suitable 1. I appreciate the work you’ve done here. If I buy one of these templates, I’ll do so through your site. cheers! Anyway.. Great list, thanks putting it together all in one page. 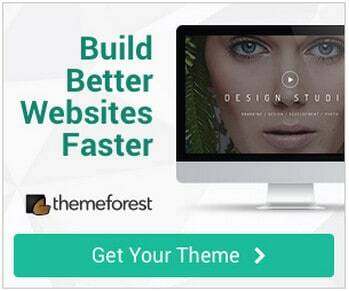 Hi, Thanks for the Great WordPress Themes. Hi Chloe, glad you liked the article, are there any of th themes you like in particular? This collection is really helpful and great.Hoping for a lot of new & nice stuff. very nice fantastic themes. thank tou. great list, especially the ones from elegant themes. thanks putting it together all in one page. Thanks Sonny, great list of news themes.